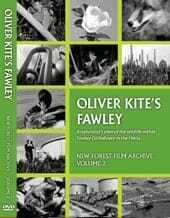 Oliver Kite was a well-known naturalist and chalk stream fisherman who presented his own wildlife television on Southern Television during the 1960s. His soft tones and great knowledge of natural history gave him the title of the ‘television voice of nature’. Oliver Kite’s Fawley is a personal look at the wildlife through the four seasons at Fawley Refinery on the west bank of Southampton Water. Within the boundary of the refinery, Kite discovers a great diversity of living things including ponies, adders, a hunting fox and even the refinery’s own flock of sheep. Contrary to expectation, this industrial setting is revealed to be a wildlife and plant sanctuary.